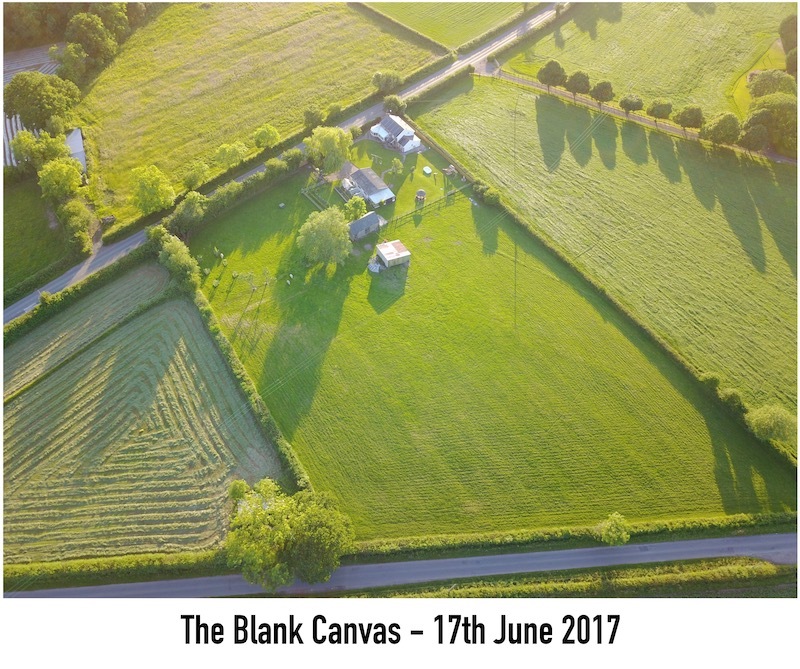 Prompted by the Special Report on Global Warming published by the IPCC on October 8th 2018, inspired by the film ‘Field of Dreams‘ and motivated by middle age and a frustration with political dithering in the face of overwhelming evidence, The Long Dig is a personal initiative to make a difference to the environment. 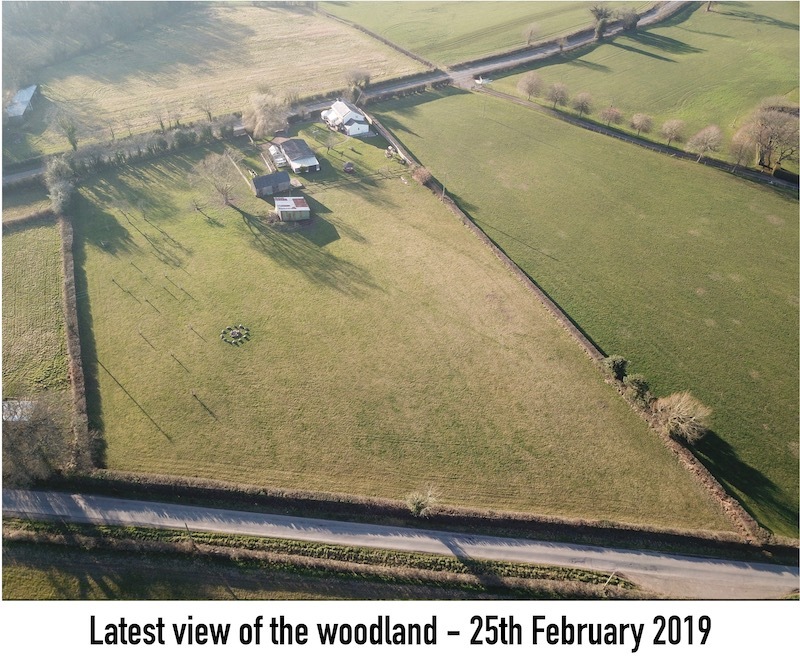 By converting the three-and-a-half acres of pastureland that make up our smallholding one tree at a time into a woodland as funds allow, we will promote the sequestration of Carbon Dioxide and absorption of rainwater. Suggestions for which trees to plant, ideas to improve the project and good-humoured ridicule are all welcome in equal measure. The land will continue to be used for grazing for the foreseeable future and is already home to nine fruit trees and an enormous Knotted Willow. The project began in October 2018 and the plan is to add to the existing trees and populate the entire plot with a variety of suitable species. The land is relatively exposed with little shade, and the soil is well-drained, clay rich, and on a gentle north-westerly facing slope. As of the beginning of March 2019, the woodland has a population of forty-one trees. If you are interested and want to know or see more, there is a Facebook page where you can follow the project in more detail. If you’d like to donate a tree, just send us a message using the contact form at the bottom of this page. Tell us what type of tree you’d like or tell us to choose the cheapest option we can find locally, and we’ll do the rest. Also, be sure to give it a good name so we can fashion an elegant name plaque from recycled materials. Saplings should be at least six feet tall and will be planted with a rabbit guard and a protective stock fence, and we’ll upload a photo to the gallery below when it’s done! With Spring around the corner, planting has stopped until the end of this year. Common Oak planted on Saturday, 2nd March 2019. Paul's Scarlet planted on Saturday, 2nd March 2019. Silver Birch planted on Saturday, 2nd March 2019. Sessile Oak donated by Alex Janaway, planted on Saturday, 9th February 2019. Anonymously donated Sweetgum, planted on Saturday, 26th January 2019. Silver Birch donated by Anne Harris, planted on Wednesday, 16th January 2019. Silver Birch, planted on Wednesday, 16th January 2019. Silver Birch donated by Caron Fraser Wood, planted on Wednesday, 16th January 2019. Silver Birch donated by Josie Bloom, planted on Thursday, 20th December 2018. Silver Birch, planted on Thursday, 20th December 2018. Anonymously donated Silver Birch, planted on Thursday, 20th December 2018. Common Alder planted on Wednesday, 19th December 2018. Common Alder planted as a Christmas Card on Wednesday, 19th December 2018. Red Maple donated by Laura Vitelli, planted on Tuesday, 18th December 2018. Red Maple donated by Max Vitelli, planted on Tuesday, 18th December 2018. Silver Birch donated by Sarah Mohammad-Qureshi, planted on Sunday, 4th November 2018. Silver Birch, planted on Sunday, 4th November 2018. Silver Birch donated by Raj Sitlani, planted on Sunday, 4th November 2018. Chestnut donated by Raj Sitlani, planted on Sunday, 4th November 2018. Silver Birch donated by Jen Allanson, planted on Saturday, 27th October 2018. Silver Birch donated by Nathan Ryder, planted on Saturday, 27th October 2018. Silver Birch donated by Julie & Alessandro Vitelli, planted on Saturday, 27th October 2018. Silver Birch planted on Wednesday, 17th October 2018. Our original orchard of six fruit trees, planted on Thursday 22nd January 2015.